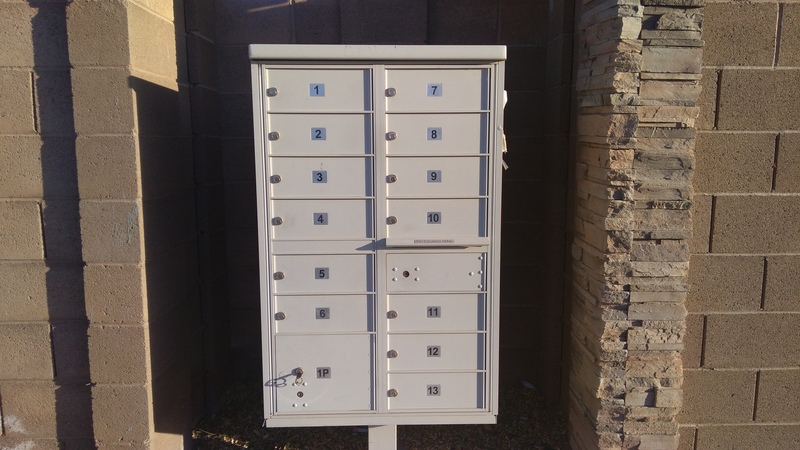 In this post, we’ve collected all the information on mailbox locksmith service you need to know: If you live in a neighborhood with a community mailbox, all of the mail for you and all of your neighbors is delivered to a central location where there are several mailboxes all in one place. The mail carrier delivers the mail for the entire area conveniently to one location, and you are assigned a specific box where your mail is delivered. Your mail is not delivered straight to your door or even to a big mailbox in front of your house. This saves a lot of delivery time of driving or walking door to door for the mail carrier, but you have to go to the community mailboxes to pick up your mail. If your mail delivery gets dropped off at a community mailbox, it’s important to keep your mail under lock and key until you arrive pick it up. Mailboxes are protected under federal law and cannot be tampered with unless you have given your approval as the assigned owner of the box, so mailbox locks changes require some professional understanding. There are two main kinds of community mailboxes. One is owned by the United States Postal Service, serviced by the federal government. Though, it legally belongs to you as long as you live at the corresponding address. Sometimes, your local post office services this kind of community mailbox. The other kind of community mailbox is owned by the Home Owners Association or Apartment complex. These are serviced by the government postal worker. Both types of mailboxes can also legally be serviced by a professional locksmith so long as you show proof of residence and identity. If the mailbox lock is not working properly, it’s time for a change. These mailboxes that service an entire neighborhood, condominium complex, apartments or individual streets are usually located outside without any or much protection from the weather elements, so they tend to wear out or rust over time. Rain, snow, humidity and the heat of the sun is hard on the moving parts of the lock and cause them to corrode and cease to move properly. Make sure you are the only one able to open up your assigned mailbox. If you’ve lost your key or think that someone else may have access to it out of your control, it’s time to change the mailbox lock. If you recently moved into the home that uses community mailboxes, it’s important to get your own keys. The previous owner of your mailbox may still have a key. It’s better to be safe than sorry by taking a chance. Have the mailbox locks changed so you will be absolutely sure you are the only one with access to your mail after the mail carrier delivers it. Ensure that you are the only one who has access to receiving the mail delivered to your community mailbox. Call a certified and professional mailbox locksmith Yuma to service your mailbox locks change today. Yuma Locksmith 24 offer quick, professional, and affordable mailbox lock replacement service, mailbox unlock service, mailbox locks change and install. Our mailbox locksmith service in Yuma AZ available 24/7. Affordable Security 9 out of 10 based on 47 ratings. 5 user reviews.